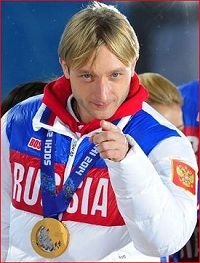 The ISU received a specific request from the Figure Skating Federation of Russia pointing out that the skater Evgeny Plushenko was unable, for different reasons, to obtain the required minimum score in an International Competition during the ongoing and past season. 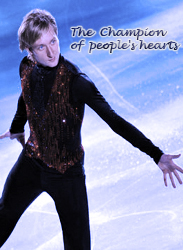 Based on this request and also noting that Evgeny Plushenko has recently returned to competitive skating by winning the Russian National Championships at the end of December 2011, the ISU Council exceptionally agreed to accept the entry of Evgeny Plushenko into the ISU European Figure Skating Championships 2012 in Sheffield/Great Britain. This exceptional decision is valid for the ISU European Figure Skating Championships 2012 only. if you find out in what hotel Evgeni is going to be, please tell me, because I want to tell Karen Davies. She will go to Shefield, but she cannot orientate and cannot find out about the hotel. A квалификацию Жене надо будет проходить? Кто-нибудь в курсе? Евгений Плющенко: "Спорт - это моя жизнь. Спортивные достижения во славу России - это моя религия. Для меня это не просто слова, это суть всего, что я делал и делаю в спорте." Official Hotel is Jurry Inn which is sold out. dimi wrote: Official Hotel is Jurry Inn which is sold out. Thank you, but is Plushi going to be there? I suppose..Usually skaters should stay in official hotel of competition. Novotel is official for judges and Jurry INN for athletes. ISU official published Entries and Schedule!!! Таня wrote: A квалификацию Жене надо будет проходить? Кто-нибудь в курсе? cekoni wrote: ISU official published Entries and Schedule!!! nothing D mean, participate in preliminary?